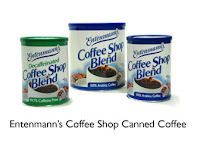 Thanks to the folks at Entenmann's, I had the opportunity to try their coffee in three varieties Cafe Blend, Hazelnut Coffee Cake Blend and Vanilla Bean Blend. I have always been a coffee drinker, and I start my day off with a cup. So when my daughter Melissa asked me to sample the coffee, I was happy to try them. 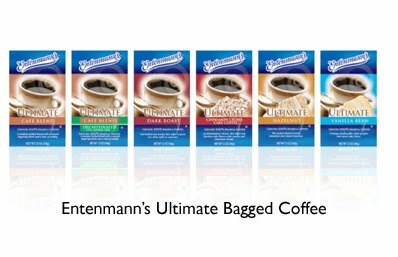 Each sample bag was enough to make a 6 cups of coffee and can be used in all types of coffee pots. The hazelnut and the vanilla were smooth and not overpowering. The Cafe Blend was a little bit mild, but the taste was great. 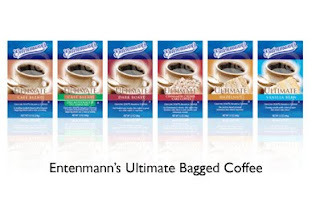 So go on out and try a bag of this great coffee. 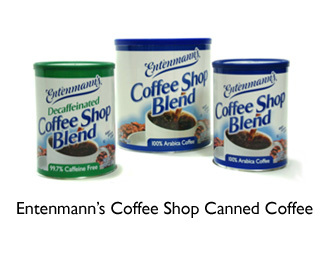 You can purchase it online at http://entenmannscoffee.com/. 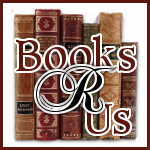 They will taste great with a danish or the Ultimate Crumb Cake that Entenmann's sells. Disclaimer: I was supplied with a sample of the coffee by the company and I was not compensated for the review.